The colors are much prettier in person. 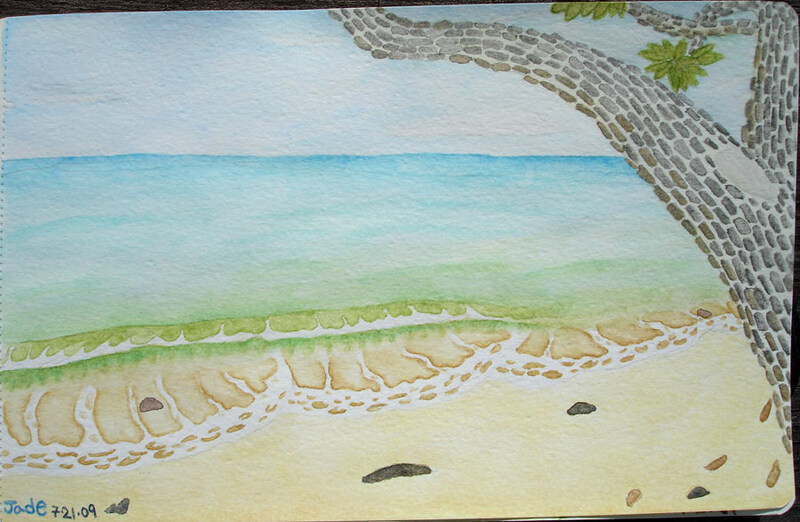 :( I wanted to try painting a natural/landscape thing again, and decided on painting the spot of the beach that my family visits whenever we go there. Aside from that green wave, I like how it turned out.